Martensitic stainless steels were designed as a type of stainless steel alloy that could be hardened by heat treatment and would be corrosion resistant – although not as corrosion resistant as austenitic or ferritic stainless steels. 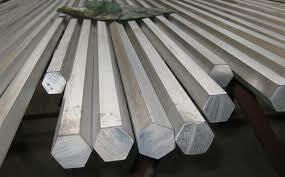 Martensitic stainless steel hexagon bar is highly machinable and is known for being wear resistant. Stainless steel hexagon bar in precipitation hardened martensitic in 17-4 PH. Martensitic precipitation hardened stainless steel hexagon bar is known for its combination of strength, corrosion resistance, being heat treatable and easily fabricated (when compared to other stainless steels). Besides being used in stainless steel hexagon bar, martensitic precipitation hardened stainless steels are still used in rod, forgings, wire and flat rolled form as well. Between 11.5 to 18% chromium, no nickel, and substantial amounts of carbon, some martensitic stainless steel hexagon bar includes other alloying elements in small amounts. Stainless steel 410/420, also known as UNS S41000 and UNS S42000, is considered a basic martensitic stainless steel. Comprised of 11.5% to 13.5% chromium and iron, along with trace amounts of other elements including carbon, manganese, phosphorus, silicon, and sulfur. After heat treatment, Stainless Steel 410 exhibits high mechanical properties, it is magnetic in both hardened and annealed conditions. Upon specification, Stainless Steel 410 can be delivered in a hardened, yet still machinable state for uses where moderate corrosion resistance and high strength are required. Stainless Steel 410 reaches maximum corrosion resistance when hardened, tempered and polished. It can be welded using most common welding methods, hot worked between 2000° F and 2200° F, as well as, cold formed and annealed. Because of all of these traits it is widely considered the “general purpose grade” of stainless steel. UNS S42000, commonly known as Stainless Steel 420 is the high carbon content version of Stainless Steel 410. Corrosion resistance is similar between the two, but Stainless Steel 420 additionally provides increased strength and hardness. Like Stainless Steel 410 it is also considered a “general purpose grade” including at least 12% chromium, which is enough to give it acceptable corrosion resistance. Typically, Stainless Steel 420 achieves its best corrosion resistance when the alloy is hardened and polished, or surface ground. Industries that use 410 & 420 include: Automotive, Dental/Medical, Electrical, Food processing, Forging, Petrochemical, Tool, Tractor. Stainless steel 416, also known as UNS S41600 is a martensitic grade of stainless steel. Martensitic stainless steels were designed as a type of alloy that could be hardened through heat treatment and would also be corrosion resistant, although not as corrosion resistant as austenitic or ferritic stainless steels. Stainless Steel 416 is magnetic, highly machinable and is known for being wear resistant. Other characteristics include: non-seizing and non-galling properties, resistance to mildly corrosive environments, and reasonable strength in the tempered and hardened state. Usually ordered in the A (annealed), T (intermediate temper) or H (hard temper) conditions. Stainless Steel 416 is not approved for use in high sulfur environments (NACE MR-01-75, MR-01-03). 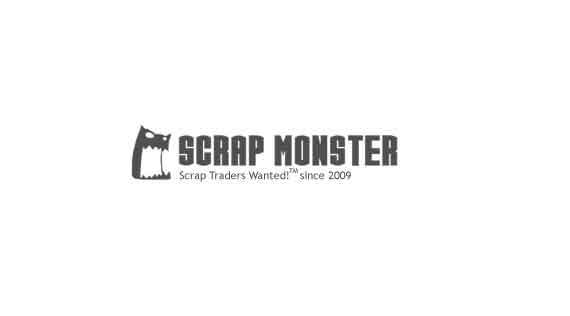 Generally considered to be the first “free machining” stainless, Stainless Steel 416 can be easily turned, tapped, broached, drilled, reamed, threaded and milled per various machine manufacturer’s recommendations for various suitable tool speeds, feeds and types. Products partially or completely constructed of 416 include: Axles, Bolts, Fasteners, Gears, Motor shafts, Nuts, Pinions, Pump shafts, Screw machine parts, Studs, Valve parts, Washing machine components.